Oh hi fudge…I think I love you. Can you marry fudge? I would probably marry this fudge. You know what is amazing about this recipe – it is free from cane sugar. The only thing sweetening this joyful explosion of chocolatey goodness is bananas and honey. It is also raw! No cooking required! It is so simple to make, you just need a food blender and a freezer. Make this vegan friendly by using maple syrup instead of honey! 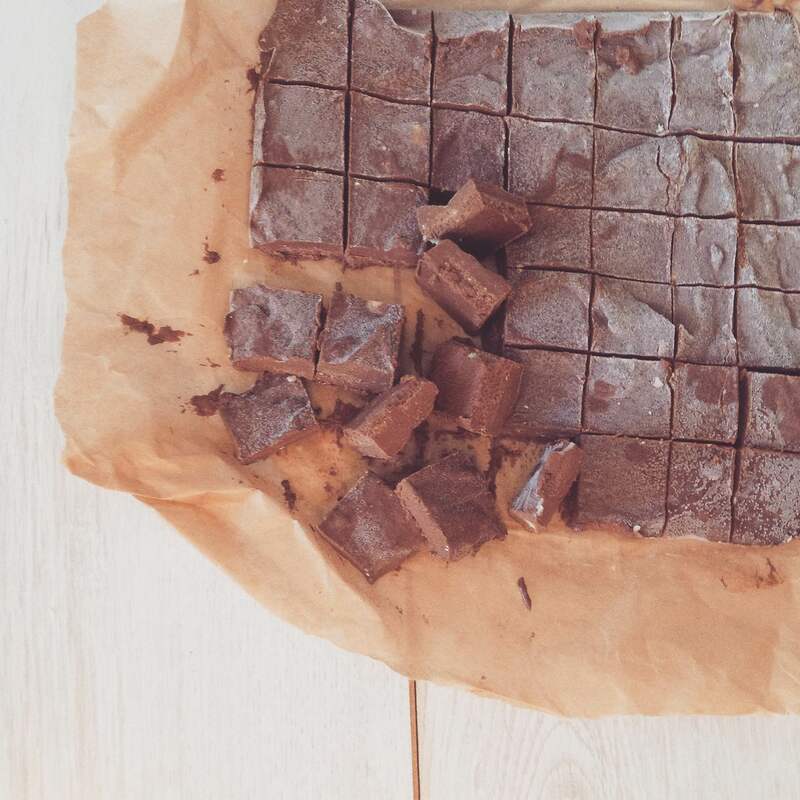 Everyone will love this fudge. Vegans. Carnivores. Vegetarians. Everyone. I think it would make a really nice gift to your nearest and dearest, and to yourself! 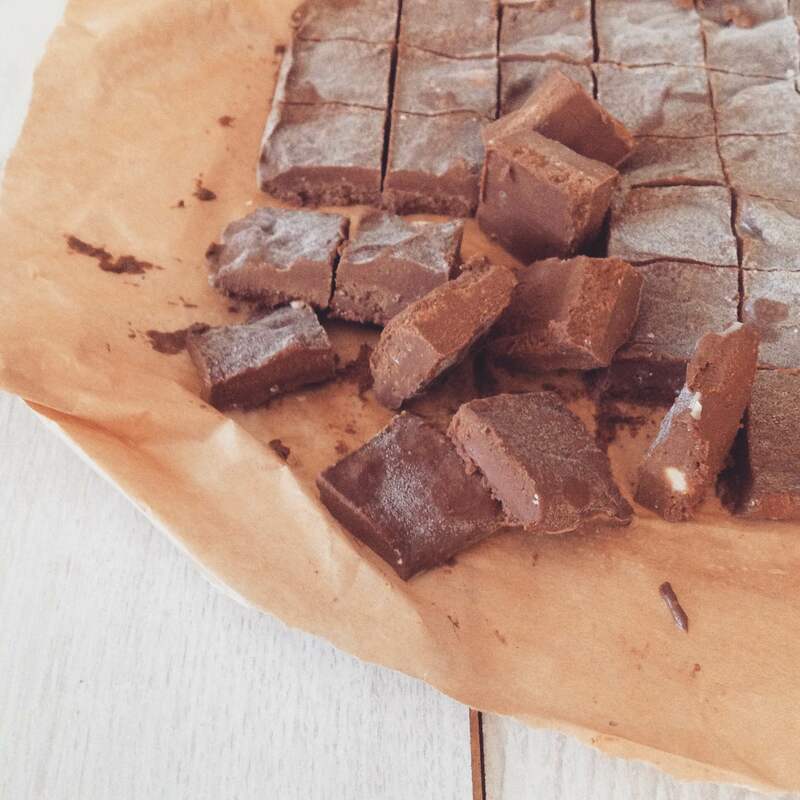 1 tablespoon of runny honey (a bit more depending on how sweet you want your fudge), you could also use maple syrup! Add all ingredients into your food mixer or blender. Blend until smooth. Pour batter into a square baking tray, which is lined with baking parchment. Make sure you use some form of lining as it will make it easier to remove! Pop into the freezer for at least two hours or preferably overnight. Take out and allow to thaw for about five minutes. Cut into squares and serve!! Yeah seriously, it is that easy! Now because of the ingredients the fudge does melt quickly, so I would recommend storing at least in the fridge or the freezer until you are ready to eat them! The consistency is like melt-in-the-mouth, much like the Lindt chocolates that I modeled them on! Amazingly the combination of the flavours mean that the banana or the peanut butter aren’t overwhelming. In fact, the main flavour is the chocolate. You get hints of maltiness (from the maca), nuts (from the peanut butter) and sweetness (from the banana) but it is not immediately obvious that they are some of the main ingredients. Now judging by how many pieces my significant other has eaten – a self-confessed nut hater, I would say that this was a resounding success! Let me know how you all get on with it! I hope you enjoy this recipe! Have a great week everyone! 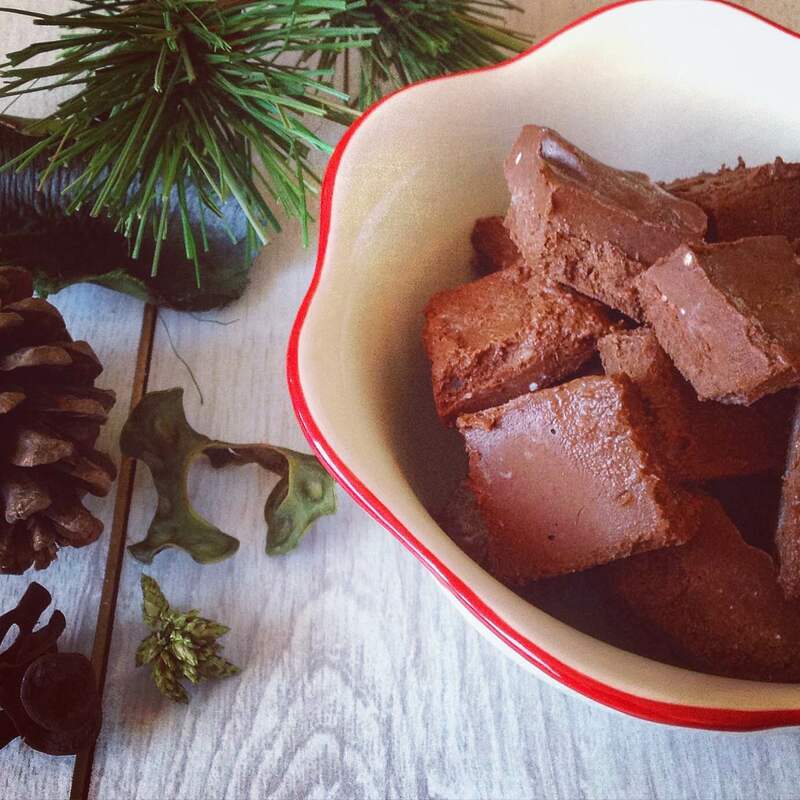 Posted on October 25, 2015 January 6, 2016 by TinaManahaiPosted in RecipeTagged cacao, chocolate, Food, fruit, fudge, Healthy, recipe, snack, sweet, treat.